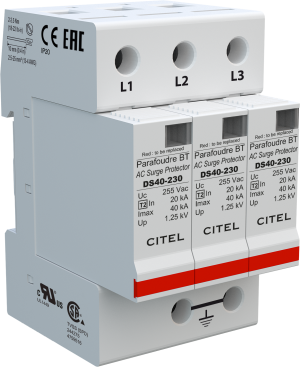 CITEL model DS40 is a standard duty AC Surge Protector (SPD) used in distribution or control panel applications. 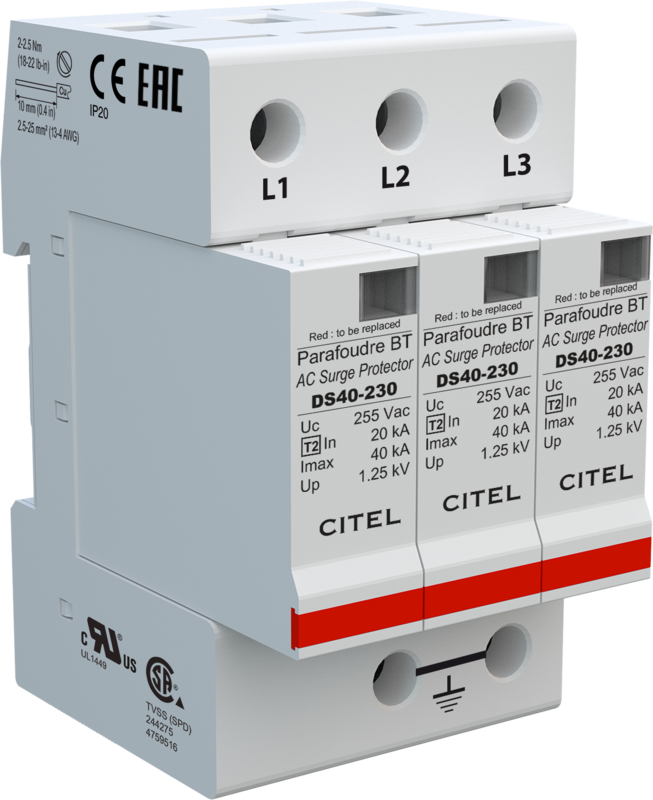 The DS40 is a single pole module that can be combined with other DS40 modules or a DS40G (N-G Mode Only) module. It is configurable for all 1, 2, and 3 phase application up to 480V AC.